Local officials decided to look the other way after the San Luis Obispo County contracted medical examiner was involved in a hit-and-run on his way to an autopsy. Even so, officers did arrest Dr. Gary Alan Walter for driving with a .19 blood alcohol level. SLO County pays Walter, who lives in Visalia, $200,000 a year to do autopsies, medical exams, file reports and testify in court, according to his contract. The coroner’s team generally conducts autopsies and medical examinations once a week at a medical examination facility located at 835 Aerovista Place in San Luis Obispo. At about 7:45 a.m. on March 9, Walter was spotted speeding down Broad Street near Orcutt Road with a blown front tire and steam pouring from the front end of his Cadillac Escalade truck. By the time SLO City police officers arrived, Walter had pulled his truck over near Tank Farm Road, just a half of a mile from the county medical examination facility, the police report says. Walter told officers he had no idea how his truck had been damaged. Walter claimed he had driven from the Starbucks at the Marigold Center. Officers searched Walter’s reported route for signs of an accident, but found no evidence. Officers again asked Walter what route he had taken, and Walter changed his statement. He told officers he had driven down Broad Street from Higuera Street, according to the police report. Officers then discovered debris from Walter’s truck in front of Big Sky Cafe on Broad Street. Officers determined Walter had struck a vehicle that had been parked in front of the restaurant, though it was no longer there, according to the accident report. Nevertheless, the accident report recommends taking no further action. Walter was not charged with hit-and-run. 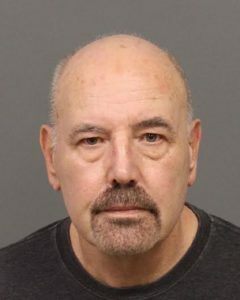 Walter told officers he had consumed two single-shot vodkas at a home he owns in Cambria between 5 p.m. and 7 p.m. After sleeping for three or four hours, Walter said he headed for work. Officers transported Walter to French Hospital Medical Center for a blood test that showed an alcohol concentration of .19. The test results contradict Walter’s statement to police because he would not have had a .19 blood concentration 14 hours after consuming two single vodka drinks. Walter pleaded no contest to misdemeanor DUI and was sentenced to three years probation. Because of Walter’s questionable statements to officers, the hit-and-run and driving to work while intoxicated, it is likely attorneys locally and in the Central Valley will question the accuracy of his reports and testimony. Last week, Walter testified that Alvaro Medrano, 54, a man who lost his life in a bar fight, died from injuries suffered in a fall, rather than blows to the head. Sergio Aranda, 36, and Travis Woolf, 37, are currently on trial for voluntary manslaughter stemming from the fight. Walter’s testimony is a key component to the prosecutor’s case. Nevertheless, Tony Cipolla, the SLO County Sheriff’s Department public relations officer, said the sheriff plans to continue working with Walter through the end of his contract in June 2017. Walter’s contract permits either party to terminate the agreement with or without cause with 90 days written notice. Get the real news about public officials, like CCN on Facebook. This is not surprising, more corruption in our LEO Community cover up is now the norm in SLO County LEO’s. Just in the 15 years i have been retired here i have seen more lying officers than in my life. Officers who routinely commit perjury, steal evidence, alter reports, give false testimony, plant evidence is now at the highest levels in SLO ever. The Grand Jury has never ever done a investigative case in the past 22 years. Something is very wrong. Just in the past 6 years, we have had several Chiefs of Police suddenly get retired, fired or just bought off to keep silence. Then we have the local recent corruption in county, cities in the county government, this M.E. should have been tried in a open public court, then the State Board who regulates the Doctors should have removed him, for some odd reason they never got the case, thus he still practices shoddy work. All his cases should be redone re-testing. Gotta wonder why local law enforcement would let him skate. How many homicides have been ruled accidental or suicidal under this guy’s watch? When I was younger, law enforcement, firemen, and other professionals were people highly esteemed who garnered the trust and admiration of ordinary citizens. Never would it have entered my most vivid imagination that they would lie or attempt to perform their duties while intoxicated! There still are professionals who do the right thing and get satisfaction from fulfilling their obligations in a skillful, honest manner. However, far too many routinely milk the system, all the while casting a dubious shadow on the men and women who daily really do attempt to follow through with the jobs they were hired to do. Naïve? Or has the world changed? Generally, people used to be more inclined to shun lying and evil. Now from the top down, lying has become second nature and the acceptable way. Very sad state of the entire union. And if just once we actually saw one of the “milkers” actually have to accept their responsibility and as should happen in this case, get fired, we might have a different attitude. But once again nothing happens, so not only are there the milkers there are a unending supply of those at the top that should do the right thing, but never do.